He is the leading light of the Caulfield trainer’s barn with number two and three seeds, Big Sur and No Commitment, sidelined sidelined through injury. 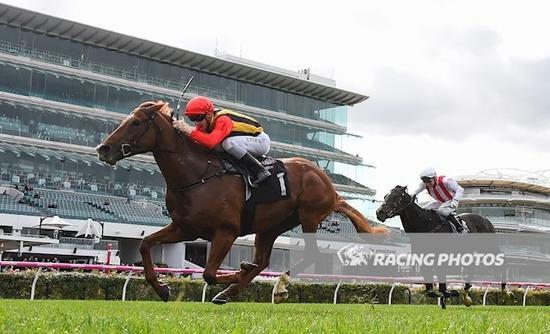 Little is aiming Vassilator at the Caulfield Guineas and the three-year-old takes another step on that path in Saturday’s Danehill Stakes at Flemington. It’s a different story on Saturday over 1200m with Vassilator rated a $19 chance, but Little said Saturday’s race fitted the program. “Like a lot of horses he’s on a path to the Caulfield Guineas but I don’t feel the need to grind him out to 1600 metres,” Little said. “I’m giving him another 1200-metre run as he’s a staying horse that I want to keep a little fresh. Little is expecting the same on Saturday but as long as Vassilator is finishing off, he’ll be happy. “The Guineas is still a month away so I wouldn’t like to say where he’ll going after that,” Little said.